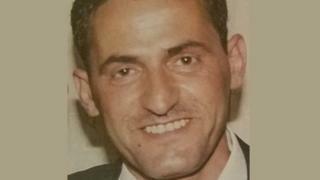 Two men have appeared at the High Court in Glasgow accused of murdering security guard Mohammad Abu Sammour at a Lanarkshire housing development. Scott Pearson, 21, and Ryan Hunter, 27, are alleged to have murdered Mr Sammour in Newarthill on 28 October last year. Prosecutors rejected an offer from their legal representatives to plead guilty to a reduced and amended charge of culpable homicide. The accused will stand trial for murder in September. Mr Pearson and Mr Hunter are alleged to have acted with another, unnamed, person in assaulting Mr Sammour. It is said they punched the 49-year-old and hit him with a knuckleduster and brick. Mr Sammour is said to have been knocked unconscious and hit with a vehicle, which was then driven over him. He was so severely injured, it is alleged, that he died in hospital as a result of the attack. Mr Pearson and Mr Hunter also face a charge of attempting to defeat the ends of justice. Judge Lord Arthurson fixed a date for the trial, which is expected to last up to eight days.